You all know how much my family and I love Japanese cuisine. Well, I have discovered this hole in the wall Japanese restaurant along Aurora Blvd a few years back. 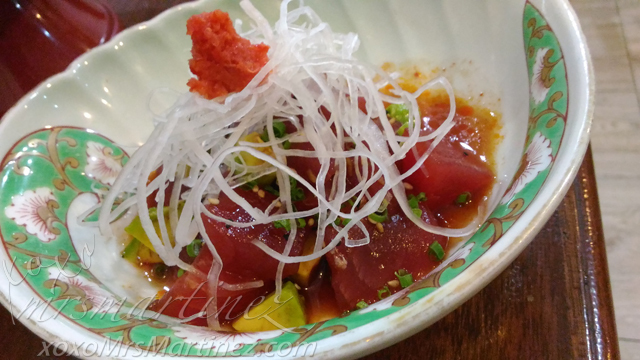 I have been keeping Yutaka Izakaya a secret for sometime so as to avoid the crowd but I guess it's time to share this awesome find with you. The prices on the menu are so affordable that during weekday lunch time, you can hardly get a table. The restaurant is almost always full with students coming from a school situated just right across the restaurant. Parking is pretty decent as it has an ample amount of space right out outside the restaurant manned by a friendly security guard. I ordered Ebi sushi. 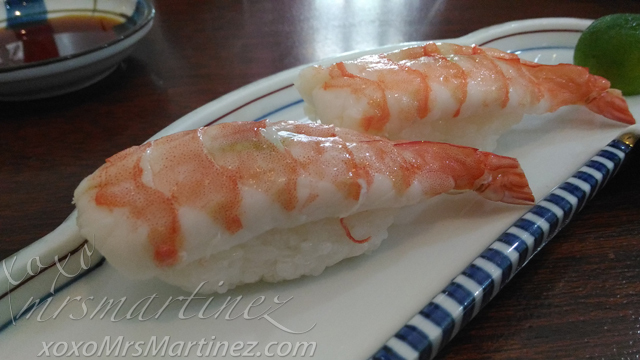 I loved how fresh and succulent the shrimps served on the plate. The hint of wasabi was just right. 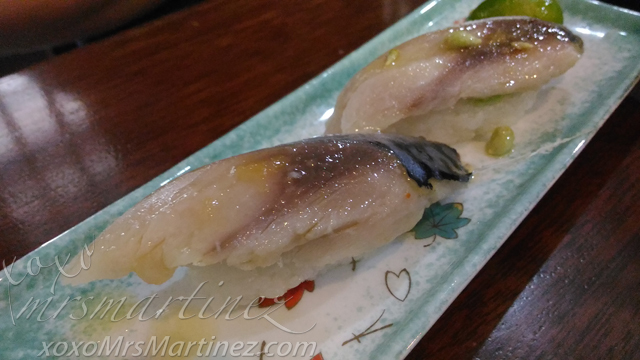 I like putting calamansi over my Saba sushi. 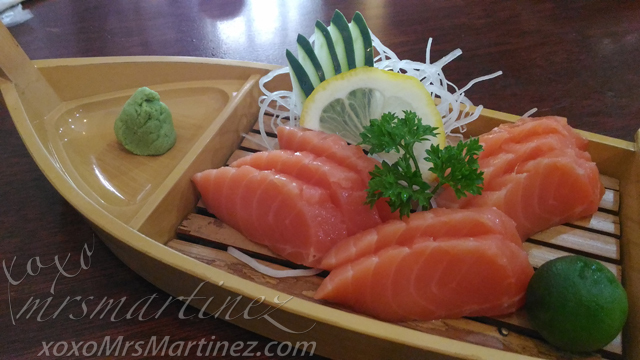 It gives an added kick to the already flavorful Saba. Isn't it affordable at Php 95 for two pieces of Saba?! 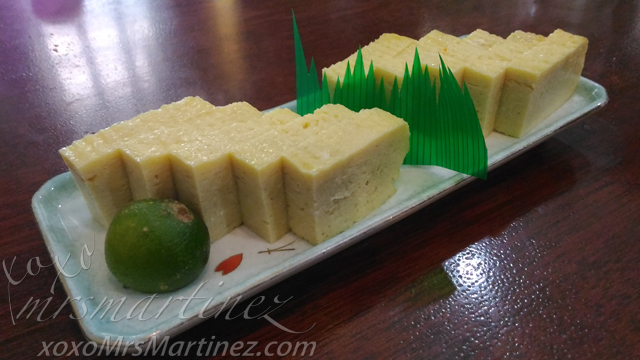 Where else can you get 10 slices of Tamago for only Php 140? 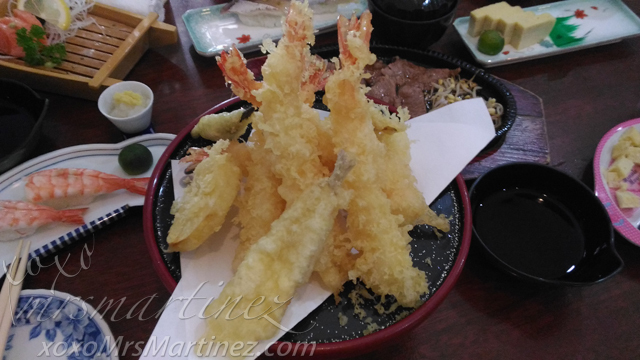 I ordered Tamago and Ebi (shrimp) tempura for my daughter. She can eat two shrimps already. Oh, how fast the kids are growing these days! The Beef Yakiniku set included a bowl of rice and miso soup. 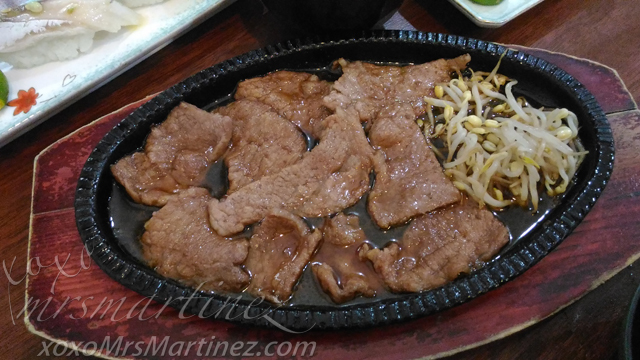 Some of the beef were not as tender as the other pieces even though these were thinly sliced. I guess I get what I paid for hehe Next time, I will try the Wagyu on the menu. Anyway, I really like Yutaka Izakaya from the affordable meals to its friendly staff. It is located at 41-D Unit X Aurora Blvd. Dona Imelda, Quezon City with telephone number 713 6558.